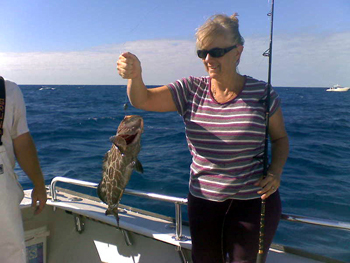 2009-11-15 - Live Report - Islamorada, FL with Ladies Let's Go Fishing! 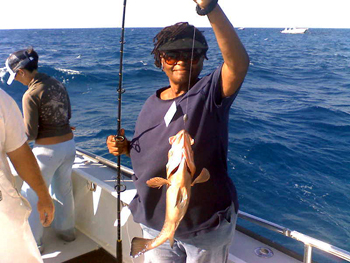 Live fishing report out of Islamorada, FL with Captain John Oughton with Ladies Let's Go Fishing Club! Capt. John reports tough going on the reef this morning, with bait scarce. Moving off to look for a sailfish this afternoon with the Cigar Minnows they've caught.